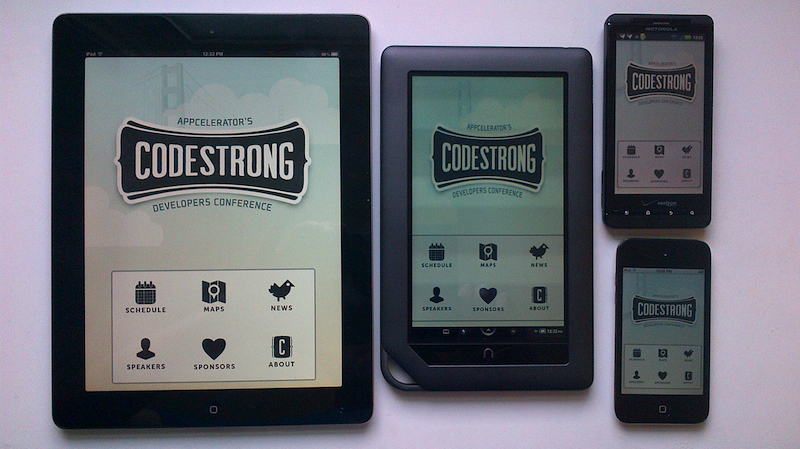 The companion app for CODESTRONG is now available for both iOS and Android devices! And yes, this includes the latest addition to our supported devices, the NOOK Color. 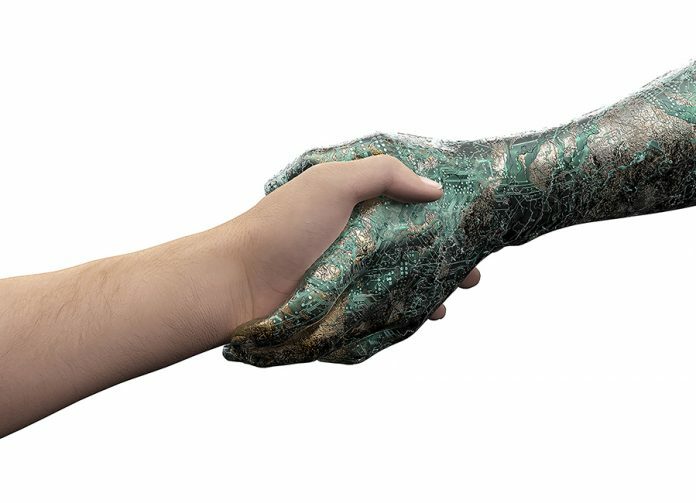 This app shows you first hand how a native app and user experience can be delivered using a single code base with Titanium. 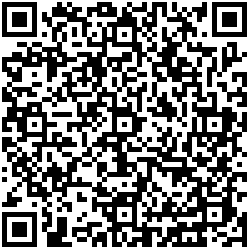 With the CODESTRONG companion app you’ll have the following information and features at your disposal. In addition to making the CODESTRONG companion app available to all iOS and Android users, we’re also giving you full access to the source code. You can take a look under the hood yourself and see how we used cross platform code to create a native experience. 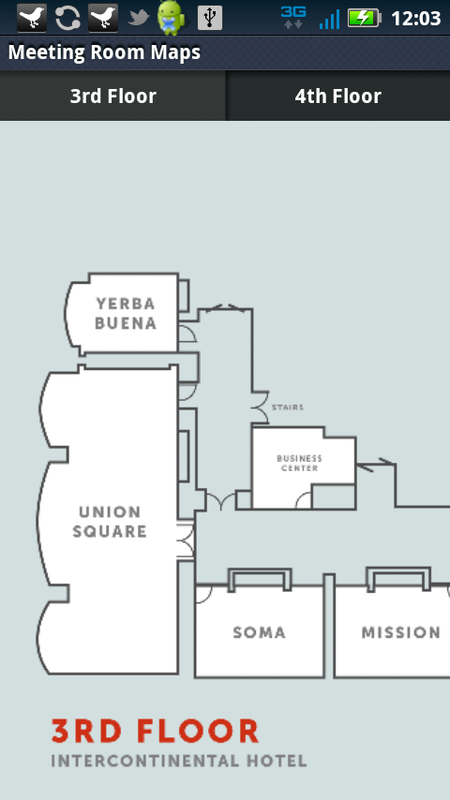 You can even build your own conference companion app based on it. 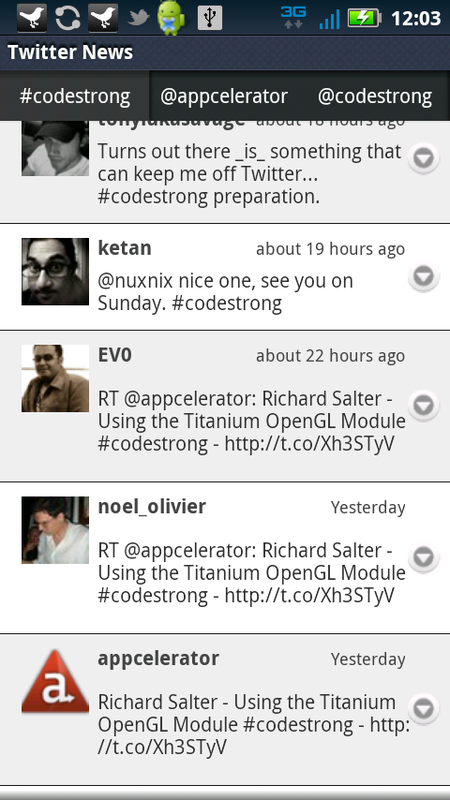 Just head over to Github and start looking through the appcelerator/Codestrong repository. 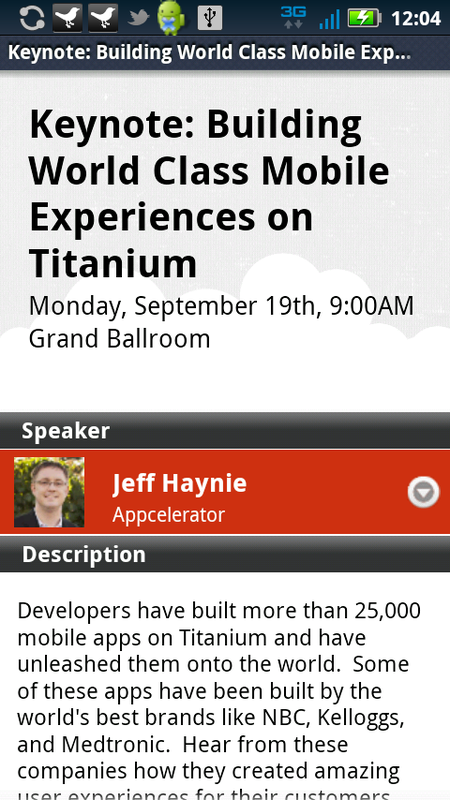 NOTE: The CODESTRONG companion app is built using the latest 1.8.0 continuous integration builds of the Titanium mobile SDK. This is an excellent app. with solid code and a user interface par none. Keep up the great designs and features. Thanks! We worked hard to deliver not just a great conference app, but also a code base from which developers can learn and grow. 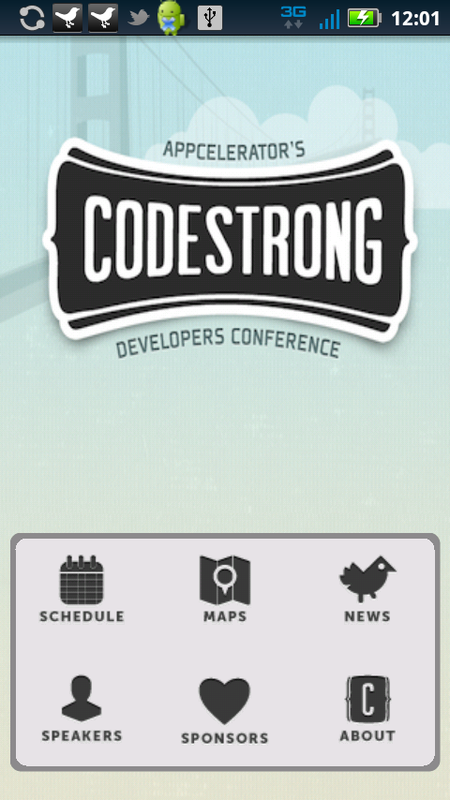 There’s a significant bug in the CodeStrong App. If you click on a session, then click on a speaker, then click on the session against their name… you keep going in an endless loop. Then you’ll have to click numerous times to return to the Daily List of sessions.